I’ve always loved man-on-the-run thrillers (both books and movies) where a determined protagonist faces seemingly insurmountable odds, from North by Northwest to Three Days of the Condor to The Bourne Identity. This was my attempt at contributing to a venerable sub-genre of thrillers, and I had a blast writing it. I think the one thing that surprised me was that it’s difficult to be too outlandish when writing a book in the 21st century that deals with the shady activities of the intelligence community. You have a lot of latitude because real life stories that occasionally surface sound like the stuff of a thriller. I realized recently that each of my first four books takes place in a different season. Appropriately, this one is Winter. In no particular order, Ian Fleming, Robert Harris, Patricia Highsmith, Stephen King, Ian Rankin, Lee Child, Kathy Reichs, Lisa Gardner, Michael Connelly, Harlan Coben, Ira Levin, and Raymond Chandler. All of those people have something in common: they know how to tell a great story and keep the reader turning pages into the night. That’s what I hope to do in my own modest way. Mason Cross was born in Glasgow in 1979. He studied English at the University of Stirling and has worked variously as a tax officer, events coordinator, project manager, and pizza delivery boy. 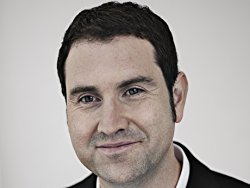 He has written a number of short stories, including “A Living,” which was shortlisted for the Quick Reads ‘Get Britain Reading’ Award and “Expiry Date,” published in Ellery Queen. He lives near Glasgow with his wife and three children. The Killing Season was his first novel: an action thriller starting Carter Blake, a mystery man who specializes in finding people who don’t want to be found. It was long-listed for the Theakstons Old Peculier Crime Book of the Year 2015. The sequel, The Samaritan, was selected for the Richard and Judy Book Club for Spring 2016. 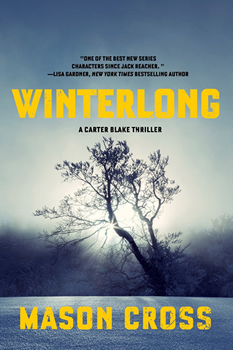 WINTERLONG (titled THE TIME TO KILL in the UK) is the third book in the series, coming February 2017. To learn more about Mason, please visit his website.